Posted on January 9, 2019 April 2, 2019 by Gregg A. 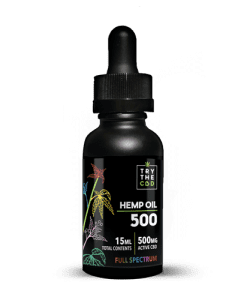 How do you administer CBD? What should I look for when buying CBD gummies? What health conditions do CBD gummies treat? Why would I want to drink CBD infused drinks? The legalization of Marijuana has more Americans hooked to Marijuana and experimenting with everything that has been infused with cannabis. Thanks to this legalization, more and more Americans are testing with everything from skin care products to candy. While marijuana has been increasingly popular, there’s a particular type of cannabis product that has been getting more buzz recently. What’s more amazing about the product is it doesn’t make you high. The popularity of CBD is rapidly increasing as more producers describe CBD as the drug for wellness and good health. Even so, some producers have defined the product as a treatment for anxiety and a potent pain reliever. It shouldn’t be a surprise that the consumer sales of CBD products recorded in the US last year were $350 million. The amount was three times more than the amount recorded in 2014. Interestingly, business experts have predicted that the market for the product could reach $2 billion in the coming years. Are you still confused about what CBD is? Are you wondering why it’s easy for users living in a state where cannabis isn’t legalized to get their hands on it? Read on! The term “CBD” otherwise known as cannabidiol is one of the several brands of cannabinoid. Cannabidiol is a chemical compound found in hemp plants and cannabis. Of course, the most famous brand of cannabinoid is tetrahydrocannabinol, otherwise known as THC. This brand is the main component of Marijuana and the reason why Marijuana gets you high. Because CBD doesn’t have this compound, it doesn’t come with the buzzy effect of Marijuana. You can rest assured that you won’t experience the buzzy effect associated with Marijuana. Consider CBD as the straight edge cousin of THC. The cannabis plant has been legalized in several states for recreational and medical purpose. Still, when it comes to the medical application and potential benefits of cannabidiol, the jury is somewhat out. CBD has been widely used to relieve the symptoms of insomnia and anxiety. Studies have provided evidence to support these claims. 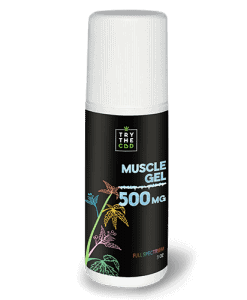 Other researches have also suggested that CBD has anti-inflammatory properties. This is the reason why some marketers describe CBD as a pain reliever, especially for arthritis. Also, multiple types of research have suggested that CBD is an effective treatment for seizures. There have been reports of patients using CBD for epilepsy. 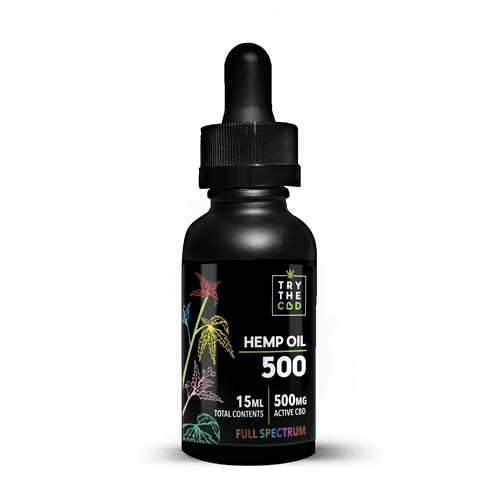 In spite of the studies that have been done on CBD, significant agencies like the World Health Organization, National Institutes of Health, and U.S food and drug administration have stated that further testing and research is necessary. Once the CBD compound has been extracted from hemp plants and cannabis, it’s packaged in the form of a cream or concentrated oil. For popular wellness products, the packaged oil is infused or mixed in various goods. The many goods include beauty creams, vaporizers, pills, and edibles like flavored sparkling water, mints, and candy. There are even CBD infused pet treats that are sold to dog and cat owners whose pets are suffering from anxiety. Also, there is n increasing the popularity of cocktail enthusiasts who are looking to grow the culture of CBD cocktail. There are even bars where the customers have the luxury of choosing from a menu of CBD infused food items and cocktails such as a cheeseburger infused with CBD sauce. Balms and creams that are infused with CBD can be rubbed directly on the affected part. 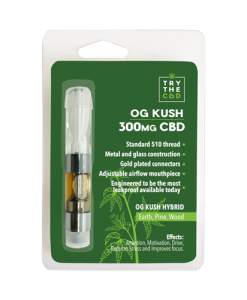 CBD oils can also be taken with a dropper orally for medicinal purpose. Remember when your mom used to take you to the local store as a kid to buy colorful candies and gummies? I bet you felt like you were walking into tie chocolate factory of Willy Wonka. Did you know that you can enjoy the same feeling with CBD gummies? CBD gummies are edibles that are full of CBD goodness. They are 100% natural, and they do not contain the psychoactive in cannabis responsible for the buzzy effect. Unlike CBD Marijuana, CBD gummies are made from hemp oil, that is, they are nonpsychoactive. Also, they contain vital cannabis compounds such as CBG, CPN, CBD, terpenes as well as selected vitamins such as vitamin D, B12, and D3. 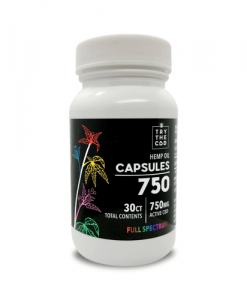 The popularity of CBD gummies as a daily supplement is rapidly increasing. Most of us enjoyed eating gummy bears when we were kids, and now there are gummies with healing benefits. CBD gummies are favorite among families who are looking to enjoy the benefits of CBD in an easy to swallow form. 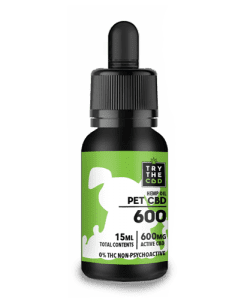 When CBD is packaged in a gummy form, it’s much easier to consume and easily enjoyed by pets and kids. Even, adults enjoy taking CBD gummies as a daily treat or supplement. CBD gummies are much similar to the regular gummies in the sense that they are also available in fun shapes like teddy bears and come in both sour and sweet flavors. CBD gummies is an excellent way for adults to enjoy feeling nostalgic about their childhood sweet while getting health benefits. However, it’s critical that you always read the labels of CBD gummies to know what you are buying. 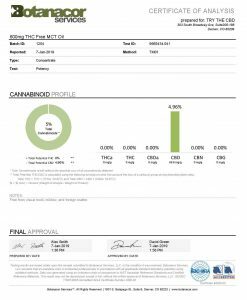 You want to check that the CBD gummy you want to buy is not inorganic but organic. Rest assured that the CBD gummies sold by reputable vendors are organic unless it’s stated otherwise. Organic gummies are made with natural ingredients before being infused with organic CBD. When you take an organic CBD gummy, you will get a healthy and fantastic tasting CBD gummy. One thing that most people are confused about is the difference between CBD edibles and CBD gummies. To make it more transparent for you, I’ll put it this way: CBD edibles are gummies, and CBD gummies are edibles. Any form of CBD infused product or cannabis you eat is classified as an edible. On the other hand, CBD oils aren’t classified as edibles because they aren’t eaten. 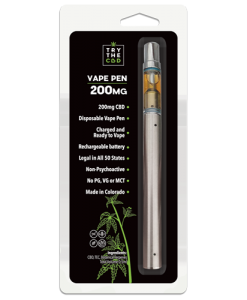 CBD oils are taken with a dropper that drops the content in your mouth. For some reasons, people mostly prefer edibles to other CBD infused products such as oils, ointments, sprays, and balms. While the bitter taste of raw hemp in oil has been reduced, there are still some products in the market that are nasty and difficult to swallow. As such, most regular consumers of CBD infused products prefer edibles to oils. Most people argue that CBD gummies and another form of edibles are fast actings when compared to oils that are administered under the tongue. This makes sense biologically since how food in ingested determines how the food will easily digest. In the case of CBD gummies and oils ingestion, the route of digestion are completely different. For instance, when you eat a CBD gummy or edible, the active compounds and CBD are directly absorbed into the cells and digests quickly. The active compounds of CBD oils are first absorbed by the glands before ending up in the bloodstream. The ease of digestion isn’t considered a yardstick to measure the potency of gummies and oils. Still, it shows that notable effects can be seen faster with gummies than oils. It’s a general rule of thumb that edibles or gummies are more fast acting and potent. On the other hand, oils are long lasting since just a single dose of oil in the morning can get you by for the day. It’s important to know that CBD gummies aren’t miracle drugs that will cure cancer or other serious health conditions. Make sure to stay away from sites that are advertising CBD products as such. Generally speaking, CBD gummies or edibles are targeted at helping to relieve various conditions such as stress, anxiety, and pain. Even some patients have reported that CBD gummies or edibles help to relieve queasiness and inflammation. One of the main reasons why people take CBD gummies is the high levels of CBD content in the gummies. CBD gummies help to reduce pain, anxiety, and also reduce cognitive problems. Research has shown that CBD gummies or edibles help to influence pain pathways thus assisting the body to deal with discomforts. Several studies suggest that CBD is a potent antioxidant, an anti-psychotic. What’s more? CBD is also considered to be an analgesic, antidepressant, anti-inflammatory, and neuroprotectant. The delicious taste of CBD gummies is another reason why you should eat CBD. If you put the medical benefits aside and just try to enjoy one or two CBD gummies, you’ll understand what I’m saying. Simply put, eating a CBD gummy is a fun way to eat CBD and enjoy a balanced and healthy source of energy. More importantly, CBD gummies are packed filled with wellness and health benefits without making you get high. The popularity of CBD drinks is rapidly increasing with consumers flocking to CBD drinks. CBD drinks are made from cannabidiol, a non-psychoactive component of cannabis. Cannabidiol is extracted from the resins, flowers, and leaves of Marijuana plants. CBD drinks include everything from water, too cold brew coffee, non-alcoholic wine, and kombucha. Need I mention that CBD drinks lack the psychoactive effects of THC. CBD oil is infused into drinks such as coffee, water or tea. Though a novice in the world of beverages, CBD drinks are increasing both in availability and popularity as Marijuana and cannabis products have been legalized in dozens of states. As more health-conscious Americans are saying goodbye to sodas, CBD drinks are considered to be wellness and anti-inflammatory product. When it comes to CBD drinks, the process of making a CBD drink depends on the type of product itself. Generally, the drink is created as normal, that is, coffee and water are brewed, and water is filtered before being infused with CBD. Because CBD doesn’t contain the psychoactive compound, taking CBD drink doesn’t provide the high that comes from ingesting Marijuana. CBD drink is aimed at providing the health and wellness benefit of Marijuana without the high effect. Consumers of CBD drinks report that it helps with a variety of health conditions such as anxiety, chronic pain, and central nervous system diseases. Studies have shown that CBD oil is effective in the treatment of epilepsy. Even, recently the FDA approved Epidiolex, a CBD medication to provide relief to patients suffering from seizures. Likewise, studies conducted on animals showed that CBD could kill cancer cells. The studies also show that CBD helps to keep cells healthy, though clinical trials on CBD and cancer in humans are underway. There is a promising study on the effects of CBD on anxiety disorders such as post-traumatic stress disorder, panic disorder, and obsessive-compulsive disorder. Infusing CBD into consumable products enables consumers to incorporate CBD into their diets and lifestyles and enjoy the health benefits. In addition to the study of CBD health benefits that is still underway, researchers are also studying the risks of taking CBD. Also, researchers are undergoing research to know the effect CBD may have on digestion, energy levels, and hormones. There is a possibility that CBD may cause contraindications with prescription drugs. 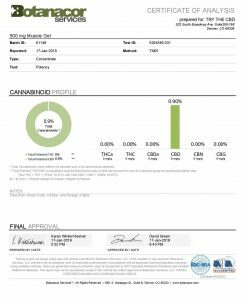 So it’s essential for CBD consumers to check in with their health provider before taking CBD products. The more researches and studies that are conducted on CBD, the more we will know the potential medical benefits and side effects of CBD. 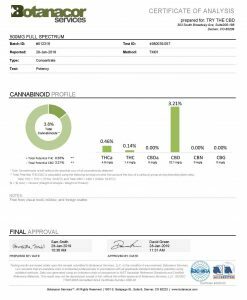 For what it’s worth, back in December 2017, the WHO issued a report that cannabidiol doesn’t appear to cause harm. The WHO noted that CBD provides therapeutic value for epileptic seizures. Further study is still required to ascertain the potential medical use of CBD. While the legal status of CBD in the United States is still unclear, CBD doesn’t seem to be going away soon work the potential for billions in sales coming in two to four years. This entry was posted in Featured Story and tagged CBD INFUSED, CBD INFUSED CANDY, CBD Infused Coffee, CBD INFUSED DRINKS, CBD INFUSED GUMMIES.